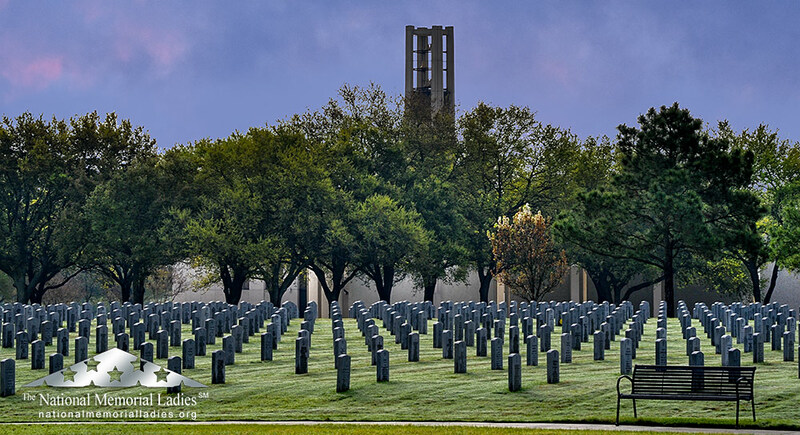 The National Memorial Ladies is a volunteer service at the Houston National Cemetery. We attend all burials at the cemetery to honor our soldiers who have fought for our freedom and the liberties we enjoy today. The Memorial Ladies are there to make sure that no soldier is buried alone... give a condolence card to the families and affirm that they are there to give honor to their loved one who gave military service to our country. The Memorial Lady is a part of the ceremony. Along with the Chaplain and Honor Guard, she attends the burial with silent vigil.